At Green Apple Dental Clinic, we believe that focusing on prevention, rather than cure, is the key to optimal oral health. Just as eating healthy foods, brushing and flossing regularly, and avoiding sugary foods are important to keeping your smile beautiful, so too is attending bi-yearly dental check-ups. Keeping your teeth and mouth in excellent shape is as easy as attending six-monthly appointments with our friendly and professional team. We put each individual patient’s needs first, striving to create long-term relationships built on trust and care. During your check-ups, we’ll ensure you feel relaxed and at ease at all times. 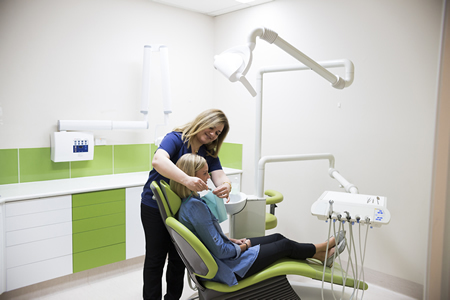 It’s our commitment to provide you with the highest-quality dental care you’ll love. Note: Orthodontics and implants discount is 10%. Are you interested in signing up for our membership plan? Simply get in touch with Green Apple Dental Clinic today by calling or emailing us.